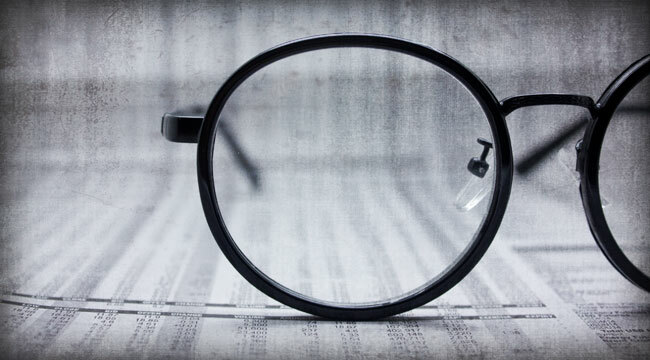 After three decades in the business and writing our daily chronicle of the stock market and economy, The Daily Reckoning, for 10 years, we have distilled our advice down to four dicta, a few basic truths to guide you as you navigate your way through the financial news. Dictum Number 1: People do not get what they want or what they expect from the markets; they get what they deserve. Of course, people would like the downturn to be over. Many are counting on it. But the market doesn’t give a hoot. He’s got a “Capitalism at Work” T-shirt on and a sledgehammer in his hand. What’s he up to? He’s demolishing a quarter century’s worth of mistakes. The economic model of the last quarter century caused more mistakes than usual. The economic model of the last quarter century caused more mistakes than usual. It encouraged people to spend, borrow, and speculate. And each time the market tried to make some corrections, the authorities came along with more money and easier credit. Businesses that should have gone under years ago kept digging themselves in deeper. Homeowners kept running up more debt. Speculators kept taking bigger and bigger gambles. Fish gotta swim, birds gotta fly, and bubbles gotta blow. The bubble in the financial sector — including subprime debt, housing prices, bonuses on Wall Street, and derivatives — hit the fan in 2007. And what a mess! Dictum Number 2: The force of a correction is equal and opposite to the deception that preceded it. The delusions and absurdities of the bubble epoque were monstrous. Naturally, the correction must be huge, too. World stock markets were nearly cut in half post-2008. Property prices, too, have been knocked down almost everywhere. The total loss of nominal wealth has been estimated as high as $50 trillion. Could these losses have been prevented? Certainly many of them could. If the U.S. Congress had never created Fannie Mae, for example, it never would have distorted the mortgage market as much as it did. And if the feds hadn’t created the Federal Reserve Bank, it couldn’t have provided so much ready money for so many speculators and borrowers. And if the Fed under Alan Greenspan had done what it was supposed to do — that is, to “take away the punch bowl” before the party got out of control — the bubble in the financial sector probably would have been much more modest. …the Fed’s low lending rates said: “Step on the gas!” Congress… helped push down the pedal. Of course, people drew all the wrong conclusions. They thought “capitalism failed.” They saw the car drive off the cliff… but didn’t notice how government had twisted the road signs. Instead of warning investors of the dangerous curve ahead, the Fed’s low lending rates said: “Step on the gas!” Congress, despite their recent collective cry of disbelief, helped push down the pedal. Dictum Number 3: Capitalism doesn’t always take an economy where it wants to go; but it always takes an economy where it ought to be. Whoever was responsible for the mistakes, capitalism went about correcting them with its customary élan. It hit imprudent investors with trillions in losses. It knocked down mismanaged corporations. It whacked homeowners… and pounded housing-based derivatives to dust. So today the feds, who mismanaged their regulatory responsibilities during the bubble epoque are bailing out mismanaged corporations to protect lenders who mismanaged their money. They are determined to prevent capitalism from making major changes — in the worst possible way. What’s the worst possible way? Simple. Leave the mismanagers in place. Keep the brain-dead companies alive — along with the zombie banks. Let the government take ownership of major sectors of the economy. And stick a debt-ridden society with even more debt! The federal government is expected to borrow $2 trillion this year alone. From whom? And who will repay it? The feds’ efforts to stop the progress of capitalism will have some spectacular consequences. Dictum Number 4: The severity of a depression is inversely correlated with government’s efforts to stop it. The more the feds try to delay and distract the process of creative destruction, the longer it takes to get the job done. And the higher the eventual bill. There are only two fairly clear examples in modern history. After the crash of 1929, the Hoover and Roosevelt administrations tried desperately to stop the correction. They could not make bad debts disappear, or turn bad decisions into good ones. All they could do was to retard the necessary corrections — and cause new mistakes! It wasn’t until after WWII, 15 years later, when the New Deal was largely forgotten, that the United States got back to work. Similarly, when Japan was confronted with a major correction in 1990, its politicians followed the Hoover/Roosevelt model. Over the years, an amount equivalent to almost an entire year’s output was applied to recovery efforts. But all they did was to prevent and forestall the needed changes. Now, 24 years later, the Japanese economy is still in corrective mode… still fighting deflation. Is that the end of the story? Not at all. The feds’ efforts to stop the progress of capitalism will have some spectacular consequences. The fireworks will start when the bond market cracks sending yields through the roof, for a nation addicted to debt cannot sustain a credit crisis for long. Ed. Note: Knowing these four dicta are a great start to helping you navigate the financial markets — and filter out the noise in the financial media. But there’s another part of the story — one that helps you translate these points into a smart and profitable investment strategy — that we detail each day in The Daily Reckoning email edition. Long-time readers have seen multiple opportunities to help turn this basic knowledge into something far more valuable. And you can do the same. Just click here right now to sign up for The Daily Reckoning, for FREE, to get started.